The flood of devices aiming to be lighter, smaller and cheaper continues. In a review for Computerworld,J.R. 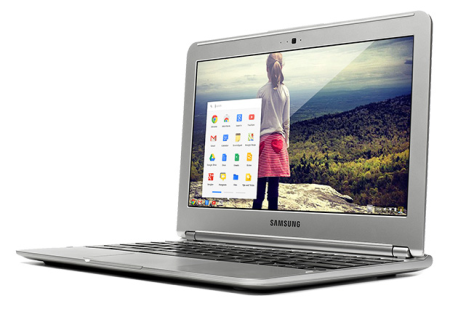 Raphael takes a closer look atSamsung’s newest version of the Chromebook, which sells for just $249.The device runs onGoogle’s Chrome OS and is aimed at users who value cloud-based featuressuch as email, storage and collaboration. The device is thin and light at just 0.8 inches thick and 2.5 lbs withan 11.6-inch screen and 1366 x 768 display. The Chromebook comes with16GB of local SSD storage but you also get two years’ worth of 100GBGoogle Drive storage (which normally costs $120) for free. According to Raphael, the keyboard is superb, the battery life isimpressive at upwards of six hours, and users don’t have to worry aboutupdating applications all the time because Chrome’s cloud-centric OSautomatically does it for them. Performance was better than Raphael may have expected given there’sonly 2GB of RAM –until multiple tabs and apps were open at once. That seemed to slow thedevice considerably, Raphael noticed. Still, he reckons this device is great value at just $249, especiallyif you want to use it mostly for Web-browsing and other cloud-basedstuff like email, storage or collaboration.